Flying Circus will finally give our loyal and patient Rise of Flight customers a new way forward into the future! Our eventual goal is to essentially re-build ROF inside of the Sturmovik universe and give WWI all the latest technology like VR, 64bit, DX11 and improved visuals. We will start by focusing on re-furbishing ten of our existing WWI airplanes and providing a partial map of France to fly and fight over. Subsequent Flying Circus products will further expand content and we’ll work to integrate Flying Circus into our Campaign and Career systems over time. Volume I is merely the first important step and it will be a lot of fun! If Flying Circus proves popular we can eventually fire up the Great War assembly line and break out the canvas and timber once again to make some new crates! Guynmere, Fonck, Coppens, McCudden, Bishop, Rickenbacker and von Richtofen shall fly again 100 years later! Entente and Central Powers Ground Units and Scenery. 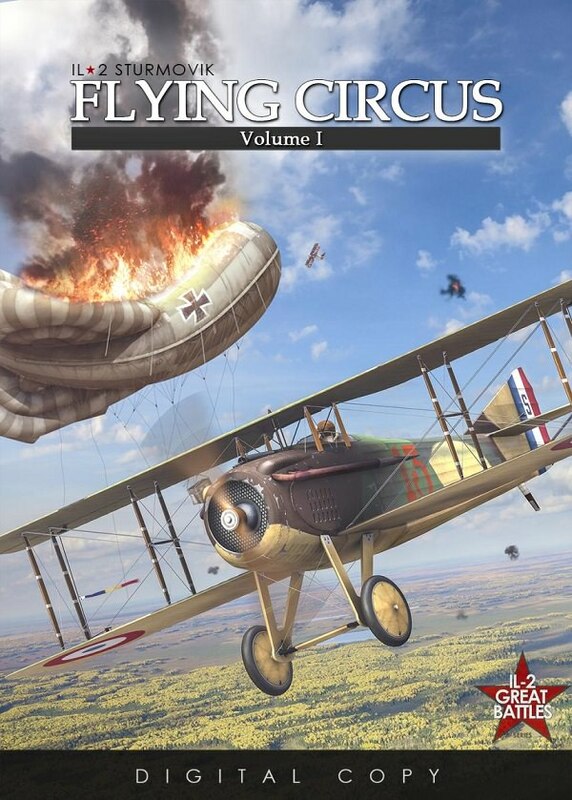 Pre-Orders for Flying Circus will be available sometime first half of 2018.